DCC still to vote on fossil fuel divestment. Contact DCC and urge they divest. OFO’s July Newsletter has been published. The DCC have NOT yet divested from fossil fuel extraction. We reported on the the DCC’s future ethical divestment plans and would like to offer an update on the DCC divestment status. The DCC voted in May to endorse a policy direction “that the Council develops a Socially Responsible Investment Policy for the Waipori Fund” based on certain criteria, one of which is fossil fuel extraction. The DCC’s Grant McKenzie is currently writing up a document to reflect that and it will be presented to council later in the year. In other words, there will need to be a further vote to confirm the if Dunedin will truly become the first New Zealand city to divest from fossil fuel extraction. We encourage readers to continue writing to the DCC (dcc@dcc.govt.nz) to express how important it is that the motion to divest from fossil fuel companies is adopted. Oil Drilling is due back to Otago waters! 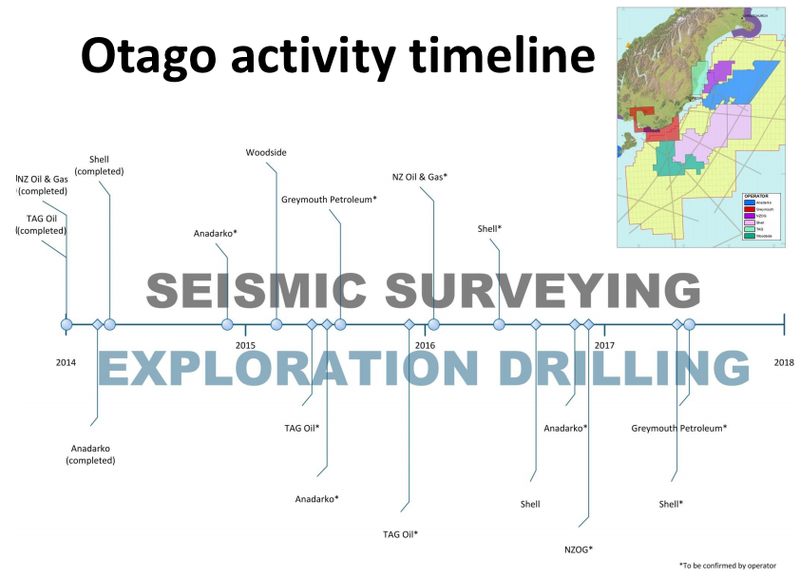 The government’s New Zealand Petroleum & Minerals published a timeline of seismic surveying and drilling planned for Otago. Repost this timeline, tell the DCC you are unhappy about more drilling and surveying in our waters (#NoDrillNZ, #NZPM=sellout), write to the papers and talk it out with friends and family. This issue is alive and in our hands, along with the responsibility to change this course we are on.